A few investment firms focusing on wealthy women are springing up, such as Ellevest (motto: “Invest Like a Woman”). Other money managers are seeking to hire female advisers and setting up dedicated teams for female clients. Some have taken the daring step of making women more prominent in their marketing material. The newest trend within values-driven investing is to use a “gender lens” to make investment decisions. Just as environmentally minded investors may ask about their portfolio’s carbon footprint, or seek to invest in green-energy projects, so too a small but growing group of investors want to know what good or harm their money is doing to women. But there is no evidence that employing a mild gender-lens need mean forgoing returns. “It’s the integration of gender into investment analysis,” says Jackie VanderBrug of Bank of America, a co-author of “Gender Lens Investing”. That may even lead to better financial performance. 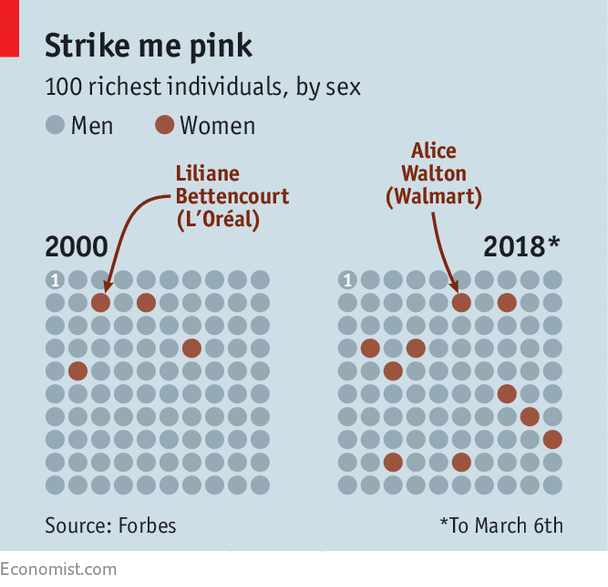 The share of companies reporting the gender make-up of senior management to RobecoSAM rose from 35% in 2012 to 54% in 2016. And the number reporting gender pay gaps rose from 21% to 31%. 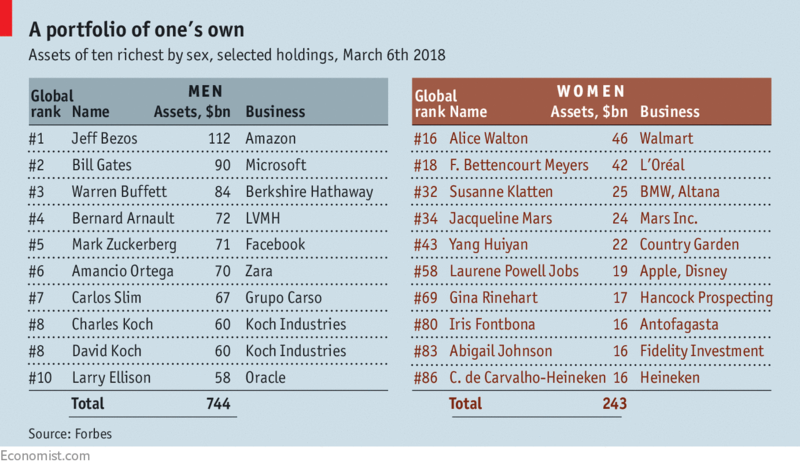 But gender-lens investing is still constrained by a paucity of data.